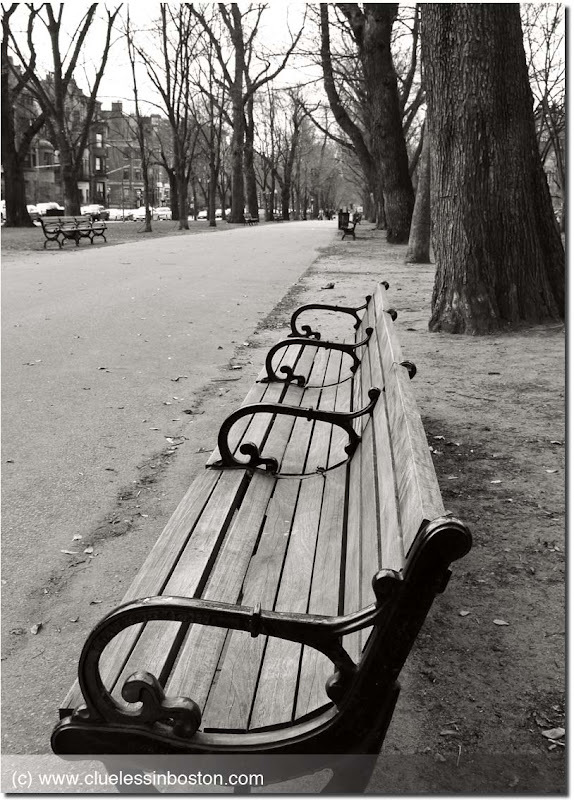 Labels: B+W, Benches, Commonwealth Ave. I love this theme! Your picture has so wonderful perspective, artistic capture! I like the lines and perspective in the shot. Like the isolation this offers even though you know it's not with all the houses in the back. Nice bw. Interesting to read T.'s comment above me about isolation. That is what the photo conveys, and yet you are portraying a busy downtown spot. Interesting to see when perceptions from images line up with reality and when they don't. Nice perspective here, and attractive benches! rendez-vous with them at spring!